Whether you own a cat or not, you are probably aware of how adorable they are. Cats are awesome for many reasons and people all around the globe love and care for them. Taking a cat with you anywhere can be a really hard thing to do, especially if you are a person who dislikes putting your cat in a cage. 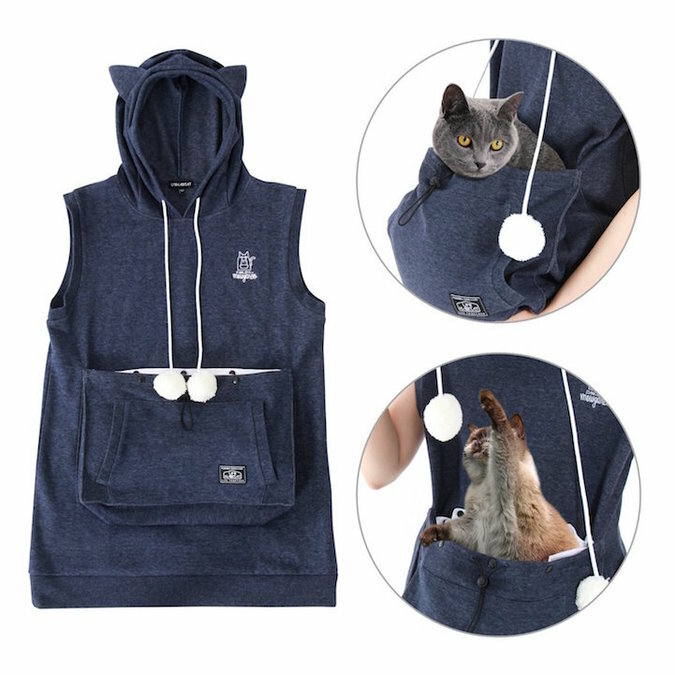 Summer Mewgaroo Hoodie came up with this awesome idea and they created a cat pouch hoodie which has a pouch for your cat! 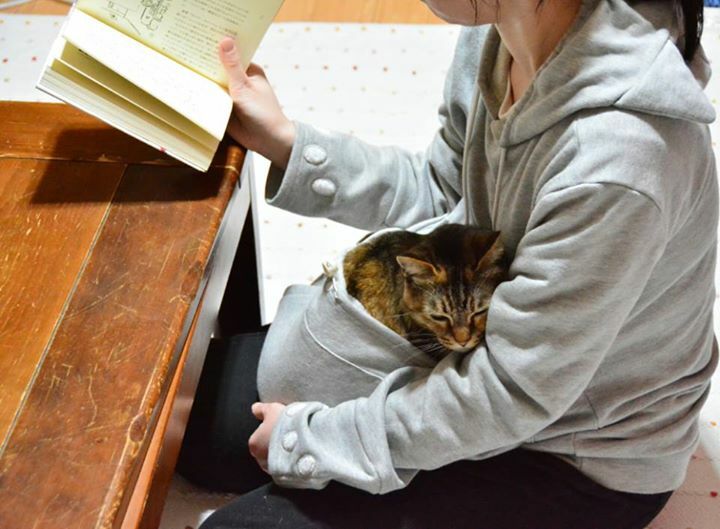 You will now freely take your cat with you in a park, read a book and enjoy the nature, all together. 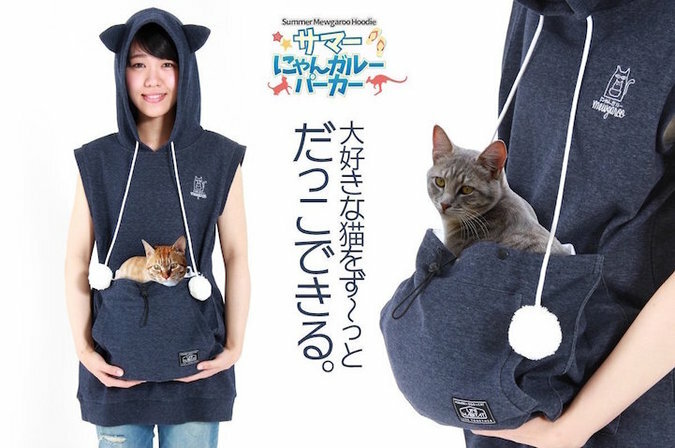 Multi-purpose cat pouch hoodie without sleeves with a very comfortable cat pouch for your cat. Who would not want to have this? 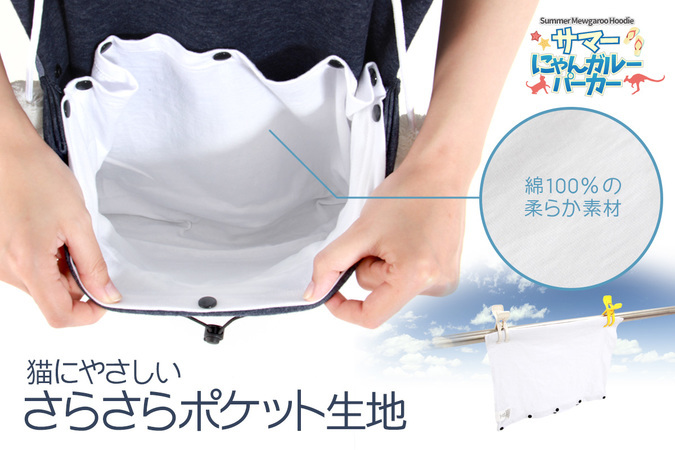 Made out of 100% breathable cotton and a pouch with a capacity of 15 pounds, great for your cat and yourself. 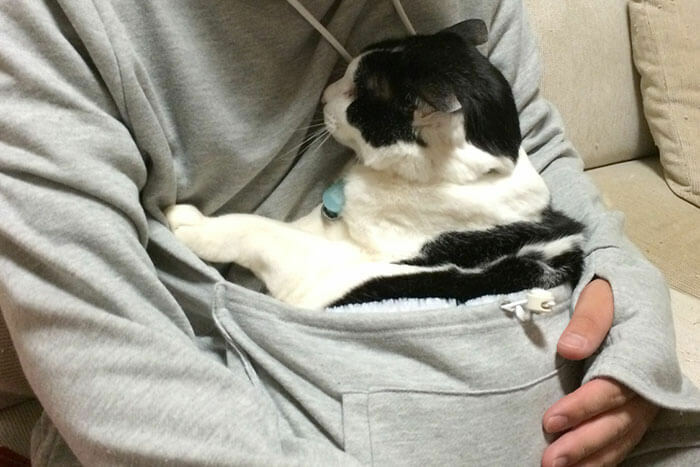 Extremely comfortable snuggling with your cat thanks to a snag-free pouch, get ready for a whole new snuggling experience. Pom-poms for your cat so he/she can play on the go, super cute and fun! Even you will like them, no wonder why. Available in a long sleeve hoodie too, in case it is a little bit too cold. 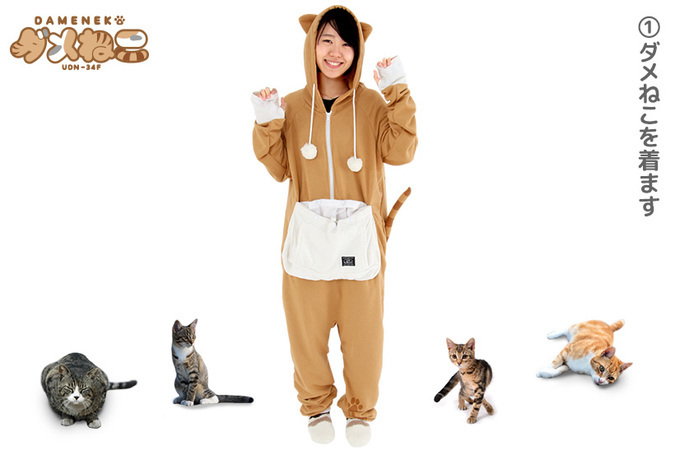 The Long sleeve cat pouch hoodie version guarantees a very cozy and entertaining moments with your cat. 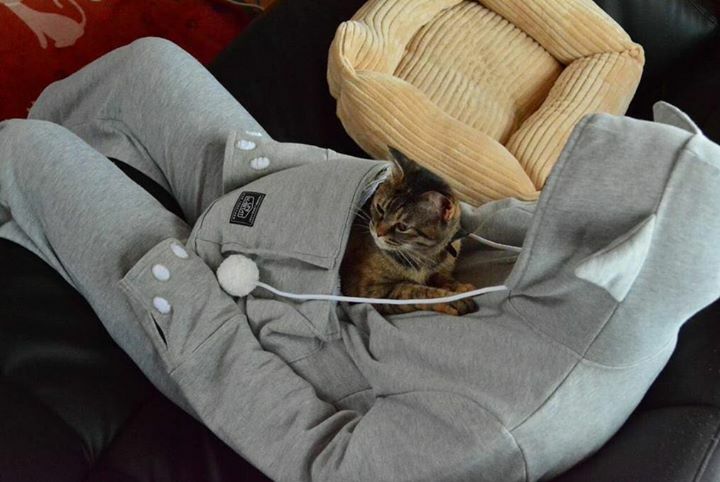 See how amazing it is to own a hoodie like this, it will improve the friendship with your cat and make you super cozy. It is a win win combination no matter how you look at it. What more could you ask for a Sunday afternoon? 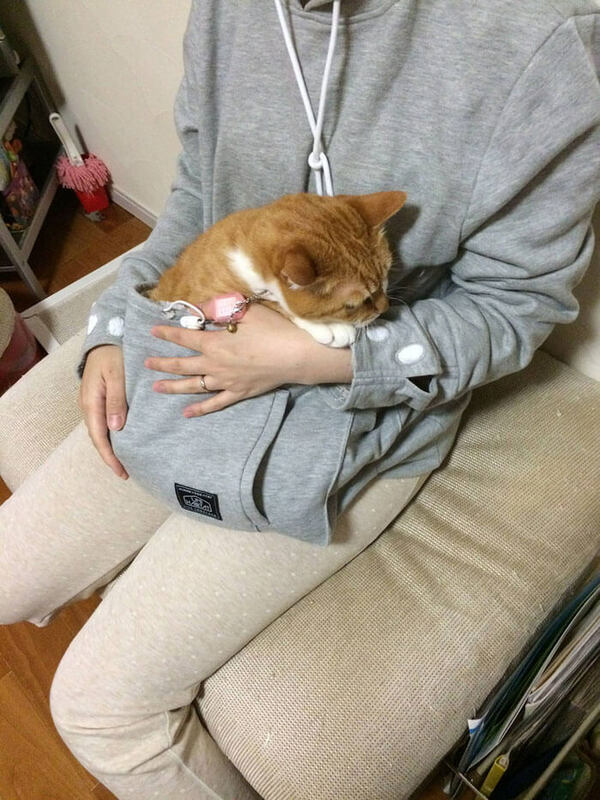 Would you like to own a cat pouch hoodie like this? 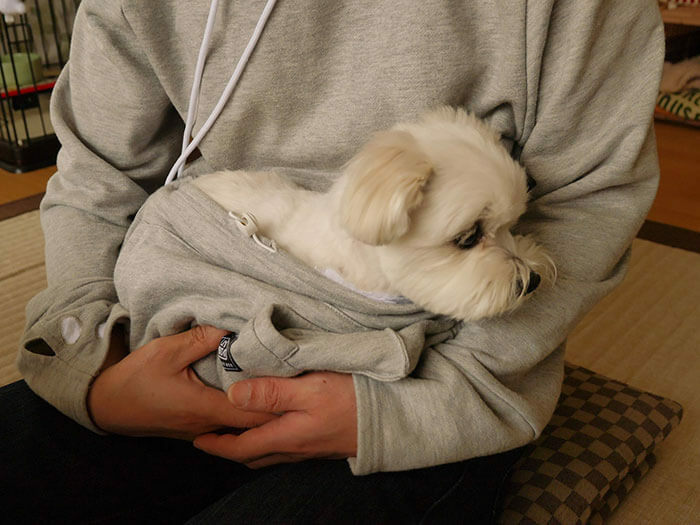 Do you maybe own a hoodie like this? 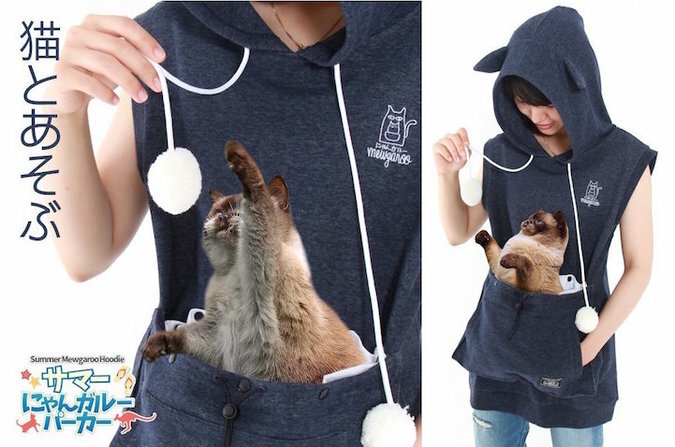 Do you think your cat would love if you had this hoodie?